Here’s a back-to-school guest post written by my good friend at EbonyDad.com . 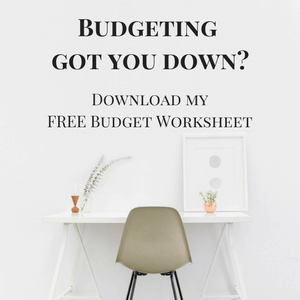 Check it out, there’s a lot of good tips in here to apply. OK, sorry for this late back-to-school post still working on this new blog venture, managing work, family time, all the etc. that goes with summer and life. Most of you by now are either looking at Fall and even X-mas posts. Seasoned bloggers know timing is important especially when it comes to increasing your posts views and searches; They are on to the next season, now. I am still learning. In, any event I want to add this post, as the summer days are winding down. The summer is coming to an end, it can be a real challenge to get back to the normal routine – both for the parents and the kids. Hope it was an eventful one for you and your family, mine turned out to be pretty busy. Kids are not the only one that finds it hard to go back-to-school, parents as well find it hard especially if you are the type that dreads the back-to-school rush. Most parents find themselves struggling to adapt to this new routine brought about by the change in seasons. I have prepared some basic tips that I hope will help you to have an easier transition this year. The trick is to plan ahead. Don’t use all the summer for fun, take out time to identify strategies to help you stay organized, to you help you seamlessly ease your child back to school, and manage your own stress. I hope that the tips below will help you eliminate the thoughts of whether you are prepared enough and also guide you in helping your kid(s) eliminate first-day jitters. One effective way to get your child excited about going back to school is to shop for back-to-school supplies together. Give them the opportunity to pick their own lunchbox, backpack, etc. It is also another way to give them a little bit of responsibility as well. Holiday is over, it is now time to go back to school time sleep routine to help you and your child eradicate those stressful school mornings. Even if you don’t have a bedtime routine, set up a regular bedtime and morning time routine to help your child get ready for school. You need to begin your normal school sleep routine at least a week before the resumption of school. During summer periods, it seems it is much easier to do laundry, as all you have to take care of are mostly tee shirts, swimsuits, and shorts. Suddenly school starts and you find heaps of laundry every day. One best way to remain organized is to do the laundry on a regular basis. This will help you avoid the ugly scenario when your child wakes up one morning to exclaim that they don’t have their favorite or even the needed pants, shirt, etc. for school. Some school requires your child to have certain vaccinations as well as up-to-date physical examination before resuming school. Ensure your child’s vaccinations are up to date. If you are not sure, call the school on time to confirm so that you will have enough time to schedule the required pediatric and dental appointments. Getting back into the usual school routine can be very tough for your child especially after a summer of “mad fun.” The key is to have your child practice getting back into the rhythm of their usual school routine. You can help them by waking them up at the same time every day, and eat around the time they would at school. Start this routine a week or thereabout before school starts. Another way to help ease your child back to school routines before the school start is to plan outside activities where your child will have to leave to home and come back around the same they would if they start school. These routines will help your child feel rested and ready for the big day. Summer is over, now is time to get back into a serious business (yea, going to school is a serious business). Children have almost “unlimited freedom” to watch TV programs and play video games during summer, so it could be a little tough to slow down now. Most of them are terrified by the thought of sitting down for six hours listening to“boring teachers”. Ease your child into normal school routine by turning off the electrics and encouraging them to read and play quietly. Kids tend to easily fall out of touch with each other during the summer, mostly because some families go on vacation while others have activities to keep them busy. To ease them back to school; plan a play dates with their school friends they haven’t seen since school lets out, this will help them feel more comfortable before the school starts especially when they are surrounded by familiar friendly faces. Planning for meals when school starts could be a real challenge to most parents. You see, it is easy to decide to make whatever you want to eat at the last minute during the summer. However, back to school demands a little more planning. Having a meal plan comes with lots of benefits; the first one is that you will have time to plan (and prepare) nutritious meal. Secondly, you won’t keep your family waiting while preparing their meal late. Remember that once school starts, your time will be limited between doing home works, prepping for the next day and planning other extracurricular activities. It is better you don’t have to add “what to eat” in the list of your worries, planning ahead is key to overcoming this challenge. It does not matter how old your child is, once he gets back to school, he has to manage a lot of things on his own. Get him ready for the tasks ahead by letting him know ahead of time about responsibilities he’s old enough to manage. It could be organizing his school materials, cleaning his school bag, doing his assignments, and bring home homework. Have him practice writing his name and tying his own shoes. This help to instill not just the sense of independence on him but also help him gain more confidence in his abilities. For working parents, picking their kid up from school is always a real challenge. Most school gets out before the parents get home, therefore it’s crucial to make plans where your child will go, or who will be at home, in the afternoons. If you are too busy, you can find an after-school program through the school itself or a local YMCA. If you can, try to plan your day so that you can be there when your kid gets back from school during those first few days of school, this will help him adjust to the new schedule and teachers. 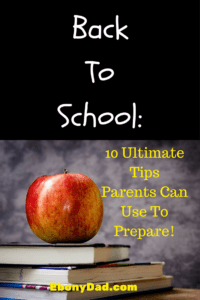 I hope these ten tips are useful in getting your child back into school mode at the same time helping you adjust as well. The days I have my daughter can be challenging since she has to adjust to my routine and I to her’s, let alone adding school to the mix. But communication between the parents is important here where you can alleviate some pointless headaches and questions. Good luck with the summer transition! My parents use to make my sister sleep in her school clothes because she was so slow in the morning. There were too many fights otherwise about her taking too much time. My son isn’t old enough but I do dread when he has to start going to school. I like that idea! Incentives. Great suggestions. It is a transition moving from summer to back to school. A little planning goes a long way!